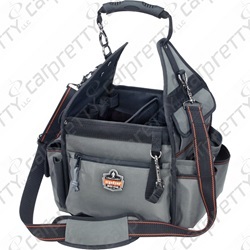 The Ergodyne Tool Organizer provides a convenient way to carry your tools too and from a job. With 48 compartments and holders for all of your tools. The bio-curved padded shoulder strap and carry handle provide comfortable support while carrying your tools around.